Small businesses drive economic growth in the United States. They provide the majority of jobs, make up 99.7% of employer firms and generate more 50% of GDP. They are the lifeblood of the economy. But just what exactly is considered a “small business“? According to the SBA, it’s a company with less than 500 employees and the US Department of Commerce says it’s a company making less than $20 million a year so this is quite a range. So it’s important to support small business. 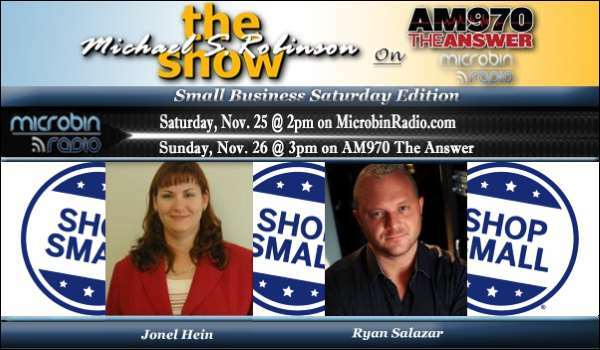 Michael Robinson talks with Jonel Hein of the SBA about what the agency does, the many resources they provide, and how they can help s small business to succeed. Then Ryan Salazar stops by to talk with Michael about his company’s business model and challenges in reinventing publishing.